Conference Series Ltd conferences, “3rd International Conference on Plant Science and Physiology” during May 21-22, 2018 in Osaka, Japan aims to bring together leading academic scientists, researchers, specialists and research scholars to exchange and share their experiences and research results on all aspects of Plant Science and Plant Physiology. It also provides a premier interdisciplinary platform for researchers, practitioners and educators to present and discuss trends, the most recent innovations, and concerns as well as practical challenges encountered and solutions adopted in the fields of Plant Science and Plant Physiology. Conference Series Ltd aims are to engage new audiences to participate in activities on the day Plant Science & Physiology 2018. Of course, we also want to reach existing followers of plant science social media accounts, and to expand the global reach. Finally, this will be a great opportunity to explore as new science communication tool. We are now looking for people to contribute, and to help us make plants ‘go viral’! 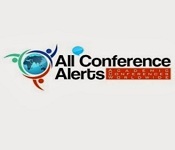 Conference Series Ltd Organizes 3000+Global Events inclusive of 600+ Conferences, 1200+ Workshops and 1200+ Symposiums Every Year across USA, Europe & Asia with support from 1000 more scientific societies. Plant Science and Physiology 2018 Conference focus current topics in Plant Science and Natural Products, Plant Biotechnology and Plant Tissue Culture, Plant Pathology and Plant-Micro-Biology, Plant Nanotechnology, Plant Morphology and Plant Metabolism, Plant & Forest Ecology and its Diversity, Plant Genetics and epigenetics, Plant Breeding and Molecular Breeding, Plant Physiology and Biochemistry, Plant Genome Sciences, Medicinal and Aromatic Plant Sciences, Soil Science and Soil-Plant Nutrition, Agricultural Science, Photosynthesis and will be available to discuss with you the latest issues and trends Next-Generation Sequencing - Basics & Applications: Tools and Technologies. 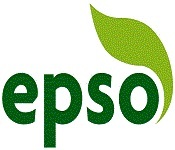 Plants and plant products are essential for us. Food, energy, medicine and so many things we can get from plants. 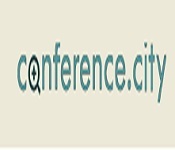 This conference seek to bring all such scientist, Noble Laureate, researcher, research scholar, students and people together who are involved in Plant Biology, Plant Science, Forest Science, Soil Science, Agricultural Science field and provide them to discuss about their innovation, exchange ideas and interaction with each other. 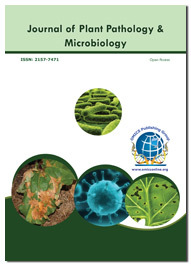 The Study of Plant Science, Plant Pathology, Plant Genomics, Plant Physiology, growth, metabolism and reproduction in living plants and explores the chemical processes within and related to living organisms and some significant process such as photosynthesis, respiration, plant nutrition, plant hormone functions, tropisms, photo-morphogenesis, environmental physiology (plant diseases), seed germination, dormancy and different stomata function and transpiration, plant water relations. Plant biochemistry is related to molecular science such as micromolecules and plant metabolisms, Biomolecules, carbohydrates, amino acid, lipids. With individuals from around the globe concentrated on finding out and learning about Plant Science and its advances; this is your best chance to achieve the biggest array of participants from the Plant Science and Physiology Societies. Lead introductions by presentations, convey information on new research, meet with present and potential researchers and scientists, make a sprinkle with new progressions, developments and advancements, as well we receive name recognition at this 2-day event. Widely acclaimed speakers throughout the world, the latest strategies, advancements, and the most current updates in Plant Science are signs of this gathering at this esteemed conference. Agriculture deals with in genetics, physiology, biochemistry, biophysics, and molecular biology, soil, biodiversity. 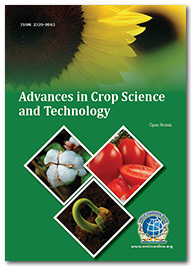 Agriculture science is related to techniques, including the application of agronomic research. Horticulture is an area of agricultural Science having the cultivation of medicinal plants, fruits, vegetables, nuts, seeds, herbs, sprouts, mushrooms, algae, flowers, seaweeds and non-food crops such as grass and ornamental trees and plants. Agricultural biotechnology is a specific area of agricultural science includes the use of scientific tools and techniques, including manipulation of genome, genetic markers, molecular diagnostics, vaccines, and plant biotechnology, to modify living organisms: plants, animals, and microorganisms. Biodiversity and Evolution of Plants is interested in a number of different topics from phylogenetic and phytogeography to taxonomy. Biodiversity of plants ensures a resource for new food crops and medicines. Plant life balances ecosystems, protects watersheds, mitigates erosion, moderates climate, and provides shelter for many animal species. Due to the dependency on this relatively small number of crops for global food security, it will be critical to keep up a high genetic diversity within these crops to deal with increasing environmental stress and to provide farmers and researchers with opportunities to breed for crops that can be cultivated under unfavourable conditions, such as drought, salinity, flooding, poor soils and extreme temperatures. Plant conservation is an essential component of efforts for biodiversity conservation. As plants are at risk of extinction, in all parts of the world, their conservation is a priority. Forest Science is a fundamental and applied research that explores all aspects of natural and social sciences as they apply to the function and management of the forested ecosystems of the world. Topics include silviculture, forest management, biometrics, economics, entomology & pathology, fire & fuels management, forest ecology, genetics & tree improvement, geospatial technologies, harvesting & utilization, landscape ecology, operations research, forest policy, physiology, recreation, social sciences, soils & hydrology, and wildlife management. The significance of plants has been closed by researchers since ancient period. Apart from the multitudinous social advantages, much quality has been given to the plants of Medicinal values or restorative esteem. Dominant parts of the populace in creating nations accept on conventional arrangement of solution for their essential human services. Along these lines various research papers on each therapeutic or medicinal plant covering immense branches of knowledge like Botany, Chemistry, Pharmacology, Pharmacy and so forth are accessible. This will enable mainstream researchers to keep themselves to re-establish with the innovative work being executed for a specific Medicinal Plant. This specialist will likewise be a wellspring of ideal data for understudies, instructors, professionals every one of the individuals who are included in their proliferation and so forth. The plants require water and minerals originated from the soil, while carbon dioxide originates from the air. Macronutrients and Micronutrients are the basic components required by plants. Soil quality is a major determinant of plant dispersion and development. Nitrogen is frequently the mineral that has the best impact on plant development. Plants require nitrogen as a segment of proteins, nucleic acids, chlorophyll. Natural nitrogen obsession (Biological nitrogen fixation) happens when barometrical nitrogen (atmospheric nitrogen) is changed over to Ammonia by a chemical/enzyme called nitrogenase. Soil science is the investigation of soil as a characteristic asset on the surface of the Earth including soil arrangement, characterization and mapping and soil disintegration or erosion. Research studies the different structures and functions of the cell and focuses mainly on the idea of the cell as the basic unit of life and cell as the smallest protoplasm capable of independent existence in Cell Biology. Systems Biology is an integrated approach to study collective behaviour of biological interactions. The emerging field of synthetic biology combines knowledge from various disciplines including molecular biology, engineering, mathematics, and physics to design and implement new cellular behaviours. Plant morphology is all about with both the vegetative structures of plants, as well as the reproductive structures. It includes plant development, floral structure, pollination and fertilization. 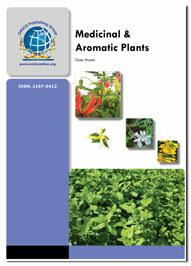 Plant morphology provides an overview of the science of deals with the external form of plants. Plant metabolism includes the complex of physical and chemical events of photosynthesis, respiration, and the process of natural compounds. Plant respiration is biochemical process in plants whereby specific substrates are oxidation with a subsequent release of carbon dioxide. Plant pathology is the scientific discovery of diseases in plants caused by pathogens and environmental conditions. Organisms that cause viral disease include fungi, bacteria, viruses, viroids, virus-like organisms, phytoplasma, protozoa, nematodes and dependable plants. A plant considered undesirable, unattractive, or troublesome, especially one that grows where it is no need and often grows or spreads fast or takes the place of desired plants. It is an aquatic plant or alga, especially seaweed. 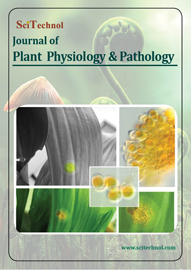 The Study of plant morphology, growth, metabolism and reproduction in living plants and also concerned with the plant morphology and some essential process such as photosynthesis, respiration, plant nutrition, plant hormone functions, tropisms, nastic movements, photo-morphogenesis, environmental physiology (plant diseases), seed germination, dormancy and stomata function and transpiration, plant water relations. Plant biochemistry is related to molecular science such as macromolecules and plant metabolisms, Biomolecules, carbohydrates, amoni acid, lipids. Plant Science & Physiology 2018 conference is a two-day programme of presentations, panel discussions and interactive dialogue on leading the way in the Plant Science & Physiology research development, which will be held during May 21-22, 2017 in Osaka, Japan. The event brings together Professors, researchers, key officials and delegates from almost 50 countries with interactive talks, sessions, workshops and symposiums in the current recent advancements in Plant Science & Physiology research. Plants are green or not green, small or tall, beautiful or irritating, rare or everywhere. Plants grow happily without us, but our lives depend on them. We take a moment to appreciate plants for their diversity, beauty and importance in our lives. As scientists, we share what fascinates us about plants, and what drives our curiosity to delve deeper into their lives. Global community driven effort consisting of a diverse set of partner organisations have voluntarily come together to enable breeders and researchers to mobilise a vast range of plant genetic variation to accelerate the rate of crop improvement and furnish food and agricultural products to the growing human population. It brings together large-scale genotyping and phenotyping projects, computational and data standards projects with the genebanks and germplasm curators. High throughput and field based phenotyping has seen huge transformational change in the last decade and in the next 5-10 years I hope that it will start to become part of the everyday toolkit of plant science researchers in the way that genomics has. Osaka is a designated city in the Kansai region of Japan. It is the capital city of Osaka Prefecture and the largest component of the Keihanshin Metropolitan Area, the second largest metropolitan area in Japan and among the largest in the world with over 19 million inhabitants. Osaka has started to garner more attention from foreigners with the increased popularity of cooking and dining in popular culture. Plant science questions could slove by sharing of scientific theories, including experimental data and observations has beem a core consept of the scientific endeavour since the enlightement. Sharing allows others to evaluate research, to identify errors, and allow ideas to be corroborated, invalidated and build up on. It also facilitates the transmission of consepts and theories to a wider audience and that will hopefully inspire others to get involved in science, contribute ideas and further our understanding the world around us. In the last decade a number of changes at the goverment, funder, publisher and institutional level have promoted and facilated the concept of open science. However, if science is to be a truly open endeavour it will require a change in mind-set at many levels to migrate towards a culture where open data in the norm. Without this we will not be able to fully realise the investment in research, in terms of both finance provided and the time and intellectual contribution of the individual involved, and contribute to developing the solutions that will help ameliorate current global problems. The role of phytochemicals is to provide health and medicinal benefits thereby ensuring the prevention and treatment of diseases. There is an increase in demand for natural ingredients as phytochemicals help in the prevention of delay aging process, chronic diseases, improves health and increases life expectancy. Moreover, the further raise in the manufacturing capacities of phytochemical API is due to demand for nutraceutical product. Globally, spending more in the market from pharmaceuticals for wellness oriented products in the form of herbal related products and nutraceuticals. Now a day’s people prefer herbal cures over synthetic allopathic drugs. There is an increase in inclination towards wellness oriented self-administered products. People are now aware about the need of healthy eating, healthy life, and fitness. Most of people who are taking nutrient supplements containing phytochemicals for healthy lifestyle. As increase in age, there is increasing probability of some alignment. The use of nutraceuticals as preventive care and the need for phytochemical API is thus increases gradually. In terms of the manufacturers point of view there has been an increasing number of acquisition with an aim to expand the phytochemical product pipeline. Phytochemical API market has been segmented on the basis of molecules, application and region. The use of phytochemicals as antioxidants has help immensely to protect against cancer, heart diseases and other illness. There are around 4000 identified phytochemicals, out of which 150 are extensively studied. 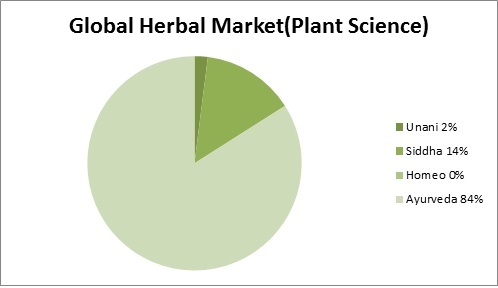 The domestic Medicinal Plant Science Research market, comprising Ayurveda, Unani, Siddha, and homeopathy, has been estimated to exceed Rs42 billion (US$950 million) and India at present exports herbal medicines and materials to the tune of Rs5.5 billion (US$124 million). The world trade in medicinal plants is estimated to be about US$62 billion, with the major players being the European Union at 45%, Asia 17%, and Japan 16%. Some of these medicines are also exported to the Middle East. Major destination countries are the USA, Japan, Nepal, Sri Lanka, Germany, Italy, Nigeria, and the UAE. 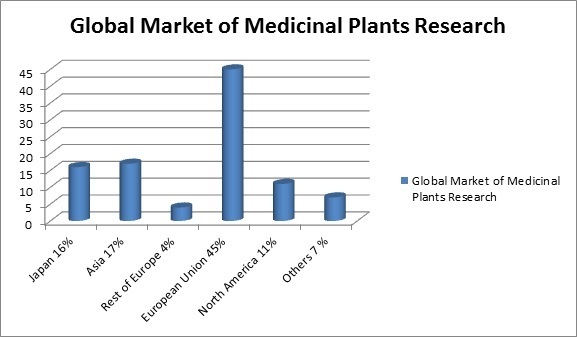 The major market players operating in the global Medicinal Plant Medicine segment are Arizona Natural Products, Himalaya Drug Company, Nature’s Aid, NBTY Inc., Ricola AG, Indfrag Limited, DSM Nutritional Products, Bio-botanica Inc., Arkopharma SA, and Blackmores Limited, Nutraceutical Corporation, Potters Herbal Medicines, Twinlab Corporation, and Pharmawhite LLC. Thank you for your invitation for my keynote speech. I took my pleasure to do so. 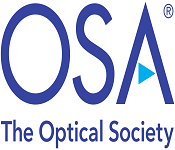 Thanks for your organization of the conference which made attendees have opportunities to meet and learn from each other as well as establish possible future collaborations. 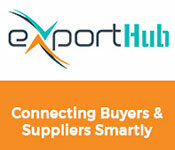 The conference environment has strengthened the interactions among the attendees as well. 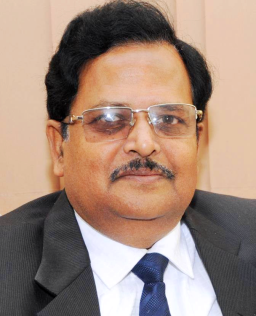 Best wishes for the continued success of your future conferences. Thank you for organizing such an event and I was immensely happy to be part of it. Plant Science & Physiology 2017 was very useful and enriching. The scientific presentations were excellent and interactive. Thank you for taking my research findings to the world through this conference. This is to thank you indeed for organizing the conference and giving me an opportunity to showcase my research! The conference was most useful to me in terms of information and contacts. We had our anxious moments but overall it has been a very enjoyable and fruitful experience!! "I highy appreaciated the Organization to offer me an opportunity as a "Keynote Speaker" to present two papers which made my expertise as well as my institution well-known as I just realized that the Organization has the reputation worldwide conducting international conferences as well as publishing scientific papers in many international journals. I am enjoying to working with the Conference Series attending more global recommended international conferences in the future". I enjoyed the conference very much. It was great opportunity to meet and interact with people from different countries and of diverse field of research areas. I am sure that the conference has helped me in learning a lot, and it will further augment our knowledge in respective field of research in near future. The conference was very successful event and I congratulate the Organizer in the context.